Pass a drug test by testing yourself with our line of drug tests! You can pass a drug test at home if you have concerns that you will fail a professional drug examination later on. iScreen is one of the best home drug testing kits given its ease of use and accuracy in finding the accurate amount of a drug. 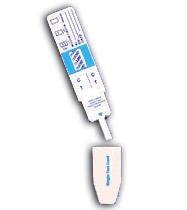 Drug test urinalysis and instant drug test kit is available for the following substances. It is a perfect upgrade to a single unit drug screen kit for marijuana THC. The Six Panel Test Kit can easily detect marijuana THC in urine, along with cocaine, methamphetamine, amphetamine, opiates, oxycodone/oxycontin and PCP. Do it quickly and effectively in the comfort of your home. Results in as little as 5 minutes. You can order online and the dynamic saliva drug test kit will be delivered right to your doorstep. 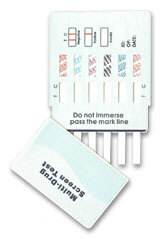 The saliva drug test kit is useful for finding traces of any drug in oral fluids. Oral fluids do not generally harbor residues for longer period of time and this makes a saliva drug test kit perfect for quick detection of a drug in the human body. Effectively tests for 6 substances. THC, Benzodiazepines, Opiates, Methamphetamines, Cocaine and PCP. 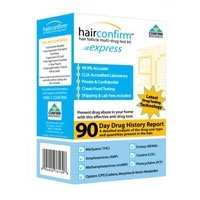 Passing a hair drug test is now easier as you can find accurate results on the presence of any drug in the privacy of your home. A hair drug test kit is what you need to accomplish this task as this will help you finding drug residues on time before you undergo any official testing. Hair drug testing is one of the most accurate methods of fining drug abuse in people. A small sample of hair follicles will yield accurate results about the metabolites residing in your body and you can pass a hair drug test by detoxifying these substances. The alcohol test kit offers quick results and does not require any technical skills to conduct this alcohol screening test; all you need to do is to carefully follow the instructions.You can also use alcohol test kit to find quantities of alcohol in soft rinks, juices, shakes or punches and this becomes especially important if you suspect foul play. Quantitative testing for alcohol in blood, however, should be performed by a professional organization.